The perfect cone-shape volcano in Iran is called Damavand. It is located in the middle of Alborz Mountain Range in north of Iran on the southern coast of the Caspian Sea. Mount Damavand height is 5671 meters above sea level. It is the highest volcano in Asia, the highest peak in the Middle East and the second highest volcano in the northern hemisphere. Snow covers the entire mountain in winter and the upper parts in the other seasons. 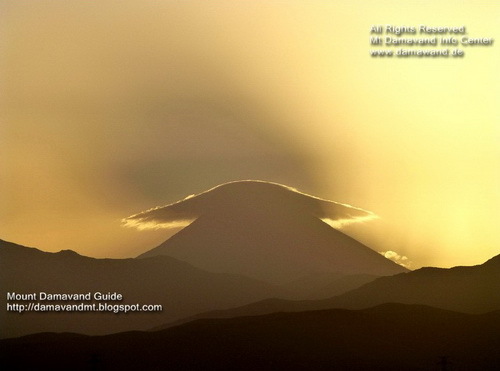 Damavand (in Persian دماوند) has a narrow summit crater usually covered with snow-cap and cloud. The snowy white peak with its regular Lenticular Cloud Cap is the most beautiful sight of Iran. Damavand is surrounded by many good looking peaks of the Alborz Chain. The view of this huge mountain looks more attractive from away than close up. In a clear day it is visible far from 250 km. Trekking Damavand the highest and the most prominent summit of Iran is a life time memory. The experience of ascending to this peak with a group of mountaineers from around the world is very rewarding. Before attempting Damavand itis recommended to read all the necessary information for ascending this huge mountain. 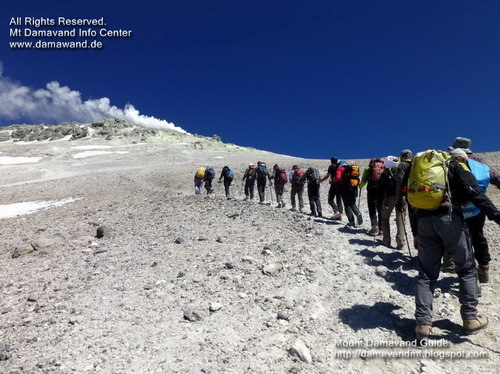 In our Damavand Forum you can find the most Frequently Asked Questions and the most common answers about climbing this mountain. The best starting point for climbing Damavand Mountain is Camp 1 Polour. This mountain hut is the best place for accommodation and acclimatization in the area and the best starting point for climbing either from the south face or the west route of the mountain. Polour Resort is made and is administered by Iran Mountaineering & Climbing Sport Federation. Damavand climbing season starts from mid June and it last to mid September. The best Time for summer trekking is in July and August. In this period the footpaths are generally free of snow, the weather is usually moderate and approach by public transportation to the base camp is easy. More details in Damavand Timing. Although Damavand resort are crowded in summer, but the beginners with little experience are strongly recommended to tackle the mountain during this climbing season only. Best starting day is Saturday. Note: Weekend in Iran is Thursday/Friday. Damavand Mountain is well-known for its mild slops. Climbing this 18,605 feet giant volcano is technically moderate but physically a tough challenge and requires a good physical fitness. The main challenge of ascend is acclimatization and the weather. Damavand Difficulty for summer trekking is comparable to Mount Kilimanjaro in Tanzania and Mount Everest Base Camp. But winter climbing is a quite different story and may be compared to a 7000 masl peak or more. Damavand is a popular peak for trekking in summer. Damavand Winter Climbing is one of the most difficult ones. Although it has mild climbing slopes but freezing temperature and strong winds makes ascend very difficult. South route is the best side for winter sports, other faces are more difficult. For a safe expedition you should be very experinced, physically very fit and well-equipped. You need a high skilled experienced guide. You need a good timing and good weather. You must be well-supported and be ready for any risk. Damavand Mountain is located near the Caspian Sea and it receives heavy snowfalls in autumn, winter and spring. Damavand Winter Season may start from mid October and last to mid April. In winter condition the wind speed may reach above 100km/h and windchill temprature to -70°C. Damawand Ski Resort is the highest skiing place in Iran and the middle-east and one of the world's best off-piste ski resorts. This volcano is a popular target for climbing, ski mountaineering, off-piste skitour, Alpine style ski, snowboard and snowshoes tours. Damavand South face has a mild slope for climbing and is the best route for Ski Mountaineering too. It is more difficult to ski on the other routes. Skiers must ascend on feet or on ski to the peak because there is not any mechanical lifts such as cable car, lift chair, gondola or telecabin in this ski resort. Damavand Ski Season is from November till mid May. It is possible to ski in winter and spring. The amount of snowfall changes each year. Because of its proximity to the Caspian Sea, Damawand Resort absorbs a great amount of snow in its snow field in autumn, winter and spring. In a good snow season it is possible to ski downhill about 12 Km on mild ski able slopes. Beacuse of high wind speed, very low temperature, stormy weather, snowfall and foggy condition, icy trails and other risks Damavand winter activity is tough and very risky. Winter sports such as winter climb, ski tour, snowboard and snowshoes are graded as very difficult on this mountain. Read more Damavand Winter Warning. We are the leading Damavand Tour Operator based in Tehran, Iran. Our guides are the most experienced mountain guides. We organize a wide range of quality tours to Damavand and other Iran mountains for hiking & trekking, climbing, skitouring, snowboard and mountain biking. Visit Damavand Info in Facebook. We organize different tours extending from a simple summer hiking ideal for beginner, up to advanced Alpine style mountaineering tour in winter suitable for experienced climbers. Many individual climbers, mountaineering groups and tour agencies use our guiding support each year. We support incoming groups with the best possible Services. Equipment and gear list for trekking Damāvand Iran. Demavand elevation by GPS Measurement. Fat burning and calories burned on Demavend Mountain. Common mistakes in trekking Damawand Volcano 5671 masl. Demawand south route GPS landmarks and waypoints. GPS track file, road and route map for climbing Mt. Demawend Iran. Routes and tracks to Damavand (Koh-e Damawand) peak. Mt Tochal trail maps and GPS tracks. Mount Damāvand (Koh Damawand) popularity and crowd. Mountain Damawand (Qolleh Damāvand) risky and danger zone. Demavand (Dive-e Sepid) difficulty and climbing grade. Dood koh facts, figures and statics. Virtual trip to Qolleh Damāvand Persia by GoogleEarth. Koh e Ghaf climbing, ski season and timing. Donbavand photo gallery and video clips, trekking photo gallery and picture album. Donbalvand guestbook, testimonial, trip report and travel review. Damāvand south route campsites information. Mount Demavand weather forecast and meteo. Weather forecast for Mnt. Demavend peak at 5671 m altitude. Tips and tricks for climbing and ski touring Damāwand Iran. Mount Demawand Iran is a natural world heritage site. Main source of information for trekking Tochal Mountain Iran. Damavand (Koh-e Damawand) thermal Springs and public SPA. Recent volcanic activities of Mt Damāvand (Koh Damawand) Iran. Damawand (Qolleh Damāvand) fake summit and false peak at 5400m. Natural attraction of Mount Demavand (Dive-e Sepid) Iran. Location of Demavend (Koh e Ghaf) volcano in Alborz Mountain Range. Donbavand Volcano lenticular cloud cap. Demavand trekking tour cost and price per person. Demavend tourism tips and tricks. Iran visa support. Iran visa authorization code and Iran visa on arrival (VOA). Best source of information for Damāwand ski resort. Demāwand ski and snowboard season. High season for Damavand (Koh-e Damawand) ski touring. Itinerary for ski touring Damāvand (Koh Damawand) Iran. Mount Damawand (Qolleh Damāvand) ski mountaineering, ski touring. Mt Demavand (Dive-e Sepid) south route avalanche. Mt. Demavend (Koh e Ghaf) winter warning. Winter climb and wild ski touring Mount Damāvand Iran. Wie man den Mount Damavand Iran 5671 Meter über dem Meeresspiegel besteigt. Ausrüstungs- und Ausrüstungsliste für Trekking Damāvand Iran. Fettverbrennung und Kalorienverbrauch auf dem Demavend Mountain. Häufige Fehler beim Trekking Damawand Volcano 5671 m.ü.M. Demawand Südroute GPS-Orientierungspunkte und Wegpunkte. GPS-Trackdatei, Straßen- und Routenkarte zum Besteigen des Berges. Demawend Iran. Routen und Tracks zum Damavand (Koh-e Damawand) Gipfel. 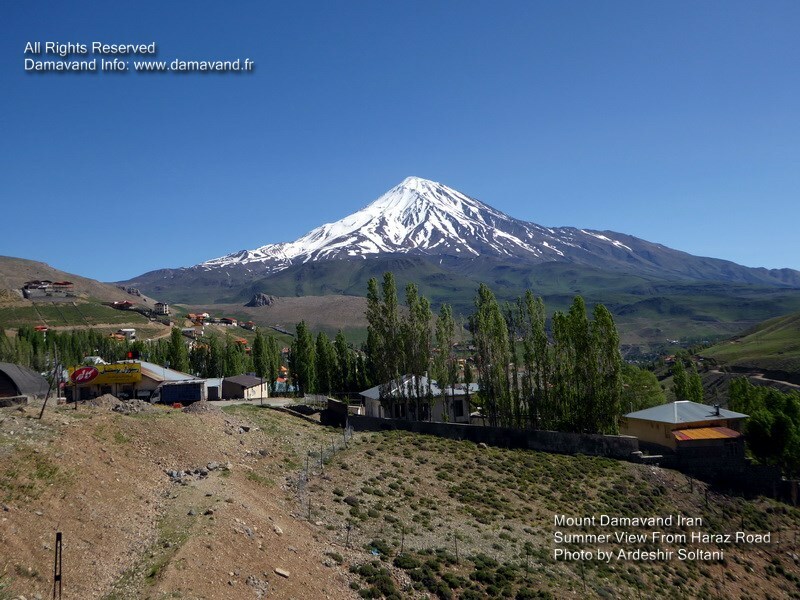 Mount Damavand (Koh Damawand) Beliebtheit und Menge. Berg Damawand (Qolleh Damāvand) Gefahren- und Gefahrenzone. Schwierigkeitsgrad und Steiggrad des Demavand (Dive-e Sepid). Dood koh Fakten, Zahlen und Statik. Virtuelle Reise nach Qolleh Damāvand Persia mit GoogleEarth. Koh e Ghaf Klettern, Skisaison und Timing. Donbavand-Fotogalerie und Videoclips, Trekking-Fotogalerie und Bilderalbum. Donbalvand-Gästebuch, Erfahrungsberichte, Reisebericht und Reisebericht. Häufig gestellte Fragen (FAQ) zum Trekking Damavand Iran. Mount Demavand Wettervorhersage und Meteo. Wetterprognose für Mnt. Demavend Peak auf 5671 m Höhe. Unterbringung und Akklimatisierung in Damawand South Route Resorts. Tipps und Tricks zum Klettern und Skitourengehen in Damwand Iran. Der Berg Demawand Iran ist ein Naturdenkmal. Thermalquellen von Damavand (Koh-e Damawand) und öffentliches SPA. Kürzlich durchgeführte vulkanische Aktivitäten im Iran von Mt Damāvand (Koh Damawand). Damawand (Qolleh Damāvand) gefälschter Gipfel und falscher Gipfel auf 5400 m.
Natürliche Anziehungskraft des Berges Demavand (Dive-e Sepid) Iran. Lage des Vulkans Demavend (Koh e Ghaf) im Alborz-Gebirge. Kosten und Preis der Demavand-Trekkingtour pro Person. Demavend Tourismus Tipps und Tricks. Iran Visa-Unterstützung. Genehmigungscode für Iran-Visa und Iran-Visum bei Ankunft (VOA). Warnungen für Wintersport Damawand Mountain Iran. Beste Informationsquelle für das Skigebiet Damāwand. Hochsaison für Damavand (Koh-e Damawand) Skitouren. Reiseroute für Skitouren Damāvand (Koh Damawand) Iran. Berg Damawand (Qolleh Damāvand), Bergsteigen, Skitourengehen. Mt Demavand (Dive-e Sepid) Südroute Lawine. Mt. Demavend (Koh e Ghaf) Winterwarnung. Winteraufstieg und wilde Skitouren auf dem Damāvand Iran. 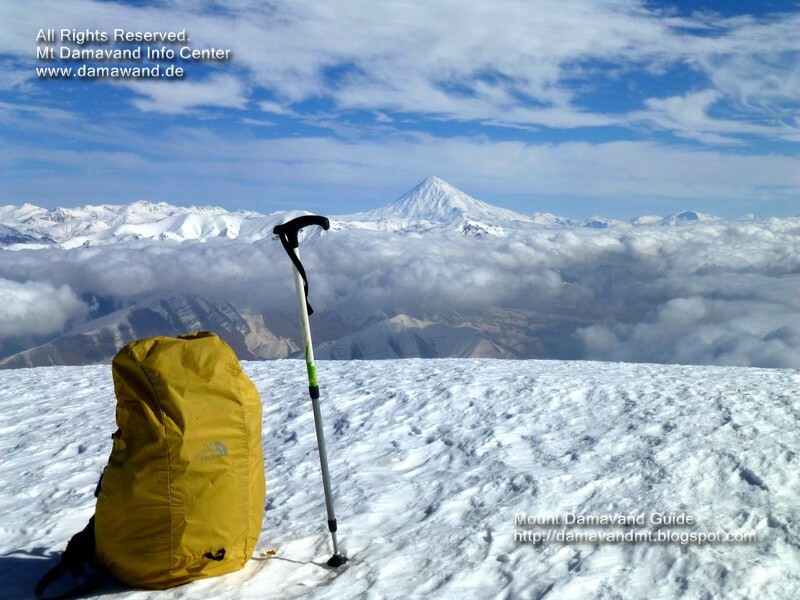 Nützliche Informationen für den Damavand Mountain Iran. Wintersport und Skitouren Iran in Skigebieten. Skitour und Snowboard Mt Damavand im Jahr 2020. Geführte Bergtouren in die Berggebiete des Iran 2019. Bietet den besten günstigen Preis für Damavand-Touren. Große Auswahl an Wandern und Trekking in den Bergen des Iran. Bergsteigerführer im Iran und Reiseführer für das Ökosystem 2019. Ski- und Snowboardtouren in die Gebirgszüge Alborz und Zagros. Bergorganisation im Iran, Klettercampingplätze und Resorts. Durchquerung des Alborz-Gebirges von Süden nach Norden und Kaspisches Meer. Beste Informationsquelle für Wander- und Trekkingtouren in Damavand. Wander-, Trekking- und Klettertouren zu den Gebirgszügen Alborz und Zagros. Qualifizierte Führungsteams zur Unterstützung von Teams und Einzelpersonen bei maßgeschneiderten Bergtouren. Useful information for Damavand Mountain Iran. Winter sport and ski touring Iran in ski resorts. Ski tour and snowboard trip Mt Damawand in 2020. Guided mountain tours to Iran mountain zones 2019. Offering the best competitive price for Damāvand tours. Wide range of hiking & trekking in Iran mountains. Offering the best competitive price for Demavand tours. Iran mountain climbing guide and eco system tour guide 2019. Ski and snowboard touring to Alborz and Zagros mountain ranges. Iran mountain organization & climbing campsites and resorts. Crossing Alborz Mountains from south to north and Caspian Sea. Best source of information for Damavand (Koh-e Damawand) hiking & trekking tours. Hiking, trekking and climbing tours to Alborz and Zagros Mountain Ranges. Qualified guiding teams to support teams and individuals in tailor made mountain tours. Información útil para la montaña Damavand Irán. Deportes de invierno y esquí en Irán por las estaciones de esquí. Esquí y snowboard Mt Damavand en 2020. Excursiones guiadas de montaña a las zonas de montaña de Irán 2019. Ofreciendo el mejor precio competitivo para los tours de Damavand. Amplia gama de senderismo y trekking en las montañas de Irán. Guía de escalada de montaña de Irán y guía de sistemas ecológicos 2019. Esquí y snowboard recorriendo las sierras de Alborz y Zagros. Organización de montaña de Irán y campamentos de escalada y centros turísticos. Cruzando las montañas de Alborz de sur a norte y el mar Caspio. La mejor fuente de información para excursiones de senderismo y trekking en Damavand. Excursiones de senderismo, trekking y escalada a las sierras de Alborz y Zagros. Equipos de guía calificados para apoyar a equipos e individuos en recorridos de montaña a medida. Informations utiles pour Damavand Mountain Iran. Sports d’hiver et ski de randonnée en Iran dans les stations de ski. Tour de ski et snowboard Mt Damavand en 2020. Visites guidées en montagne des zones de montagne iraniennes 2019. Offrant le meilleur prix concurrentiel pour les visites de Damavand. Large gamme de randonnées et randonnées dans les montagnes iraniennes. Guide d'alpinisme en Iran et guide de système écologique 2019. Ski et snowboard dans les montagnes d'Alborz et de Zagros. Organisation de montagne d'Iran et campings d'escalade. Traversée des montagnes Alborz du sud au nord et de la mer Caspienne. Meilleure source d’information pour les randonnées et les randonnées à Damavand. Randonnée, trekking et escalade dans les chaînes de montagnes d'Alborz et de Zagros. Des équipes de guides qualifiées pour accompagner les équipes et les personnes lors de circuits de montagne sur mesure. Informazioni utili per Damavand Mountain Iran. Sport invernali e sci alpinismo in Iran nelle stazioni sciistiche. Sci alpinismo e snowboard sul Monte Damavand nel 2020. Visite guidate in montagna alle zone montane dell'Iran 2019. Offrendo il miglior prezzo competitivo per i tour di Damavand. Ampia gamma di escursioni e trekking nelle montagne dell'Iran. Guida alpina dell'Iran e guida turistica del sistema Eco 2019. Sci e snowboard visitano le catene montuose di Alborz e Zagros. Organizzazione della montagna in Iran e campeggi e villaggi di arrampicata. Attraversando le montagne di Alborz da sud a nord e il Mar Caspio. La migliore fonte di informazioni per escursioni e trekking Damavand. Escursioni, trekking e scalate alle catene montuose di Alborz e Zagros. Team di guida qualificati per supportare team e singoli in tour montani su misura. Nyttig info for Damavand Mountain Iran. Vinter sport og ski touring Iran i skianlegg. Ski tur og snowboard Mt Damavand i 2020. Guidede fjellturer til Irans fjellsone 2019. Tilbyr den beste konkurransedyktige prisen for Damavand turer. Stort utvalg av fotturer og trekking i Iran-fjellene. Iran fjellklatring guide og Eco system tour guide 2019. Ski og snowboard touring til Alborz og Zagros fjellkjeder. Iran fjellorganisasjon og klatring campingplasser og feriesteder. Krysser Alborz fjellene fra sør til nord og kaspiske hav. Beste informasjonskilde for Damavand fotturer og trekkingsturer. Fotturer, trekking og klatring turer til Alborz og Zagros Mountain Ranges. Kvalifiserte veiledende lag for å støtte lag og enkeltpersoner i skreddersydde fjellturer. Полезная информация для Damavand Mountain Иран. Зимние виды спорта и лыжные прогулки по Ирану на горнолыжных курортах. Горнолыжный тур и сноуборд на горе Дамаванд в 2020 году. Горные туры с гидом в горные зоны Ирана 2019. Предлагая лучшую конкурентоспособную цену на туры Damavand. Широкий выбор походов и гор в Иране. Гид по альпинизму Ирана и гид по Экосистеме 2019. Лыжи и сноуборд на горных хребтах Альборз и Загрос. Организация гор Ирана и альпинистские кемпинги и курорты. Пересекая Альбурские горы с юга на север и Каспийское море. Лучший источник информации для походов и походов в Дамаванде. Пешие походы, походы и восхождения на горные хребты Альборз и Загрос. Квалифицированные руководящие команды для поддержки команд и отдельных лиц в индивидуальных горных турах. Poleznaya informatsiya dlya Damavand Mountain Iran. Zimniye vidy sporta i lyzhnyye progulki po Iranu na gornolyzhnykh kurortakh. Gornolyzhnyy tur i snoubord na gore Damavand v 2020 godu. Gornyye tury s gidom v gornyye zony Irana 2019. Predlagaya luchshuyu konkurentosposobnuyu tsenu na tury Damavand. Shirokiy vybor pokhodov i gor v Irane. Gid po al'pinizmu Irana i gid po Ekosisteme 2019. Lyzhi i snoubord na gornykh khrebtakh Al'borz i Zagros. Organizatsiya gor Irana i al'pinistskiye kempingi i kurorty. Peresekaya Al'burskiye gory s yuga na sever i Kaspiyskoye more. Luchshiy istochnik informatsii dlya pokhodov i pokhodov v Damavande. Peshiye pokhody, pokhody i voskhozhdeniya na gornyye khrebty Al'borz i Zagros. Kvalifitsirovannyye rukovodyashchiye komandy dlya podderzhki komand i otdel'nykh lits v individual'nykh gornykh turakh.